Continuing with the L&N’s Gentilly Yard in the early 1960s, here’s a closer view of the locomotive servicing area. 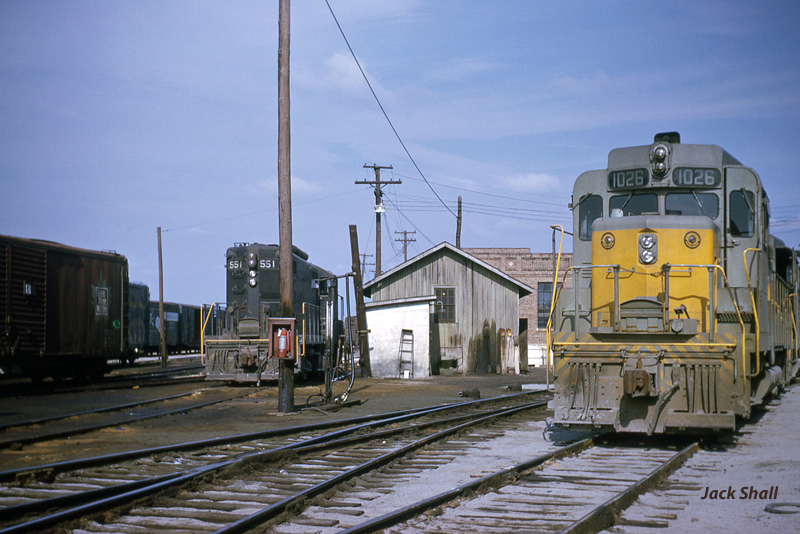 The GP30 (at right) is sitting on the lead to the turntable, while GP7 #551 (at left) rests by the fueling spot. The 551 is one of the locomotives equipped with a steam generator, and the “torpedo” style air tanks.